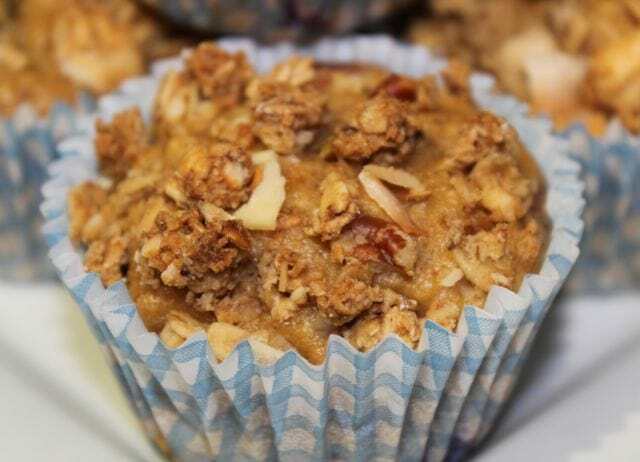 With a fabulous combination of fruit, yoghurt, oats and granola, this muffin is packed full of energy and goodness and a great way to start the day ….or just to enjoy at any time you fancy! Preheat the oven to 200*C/400*F. Line a muffin tray with cases. Set aside. Sift the flour into a bowl. Whisk in the oats and lemon zest. Beat together the brown sugar, yoghurt, oil and eggs. Stir gently into the flour mixture, mixing only to combine. Fold in the berries. Spoon into the greased muffin tin. Sprinkle about 1 TBS of granola over top of each. Bake for 20 minutes, until well risen , and the tops spring back when lightly touched. Allow to cool in the pan for about 5 minutes before turning out to cool completely. Store in a tightly covered container for up to two days.